All of which raises serious questions about Gerhold and Jessup’s case against free-roaming cats. This should come as no surprise, though. This is the same David Jessup, after all, who authored the 2004 paper, “The welfare of feral cats and wildlife,” in which he argued that “TNR really stands for trap, neuter, and re-abandon” and that it “may be illegal” (without citing any legal cases—there being none to cite). And warned that “more than 90,000 cats did not receive rabies vaccinations” as part of 1999–2001 Maddie’s Fund project in California (failing to mention that rabies in cats is virtually non-existent in the state). To be clear: I don’t object to scientists shaping policy; on the contrary, I think we’d all be better off if there were more of it. But only if the scientists involved are able to set aside (or, failing that, at least acknowledge) their biases and produce work that can withstand the scrutiny not of their peers (who, as we’ll see, are either unable or unwilling to provide the necessary oversight), but of their critics. Gerhold and Jessup don’t devote much attention to cases in which humans contract rabies from cats, probably because there are so few—not that the authors acknowledge even that basic fact. 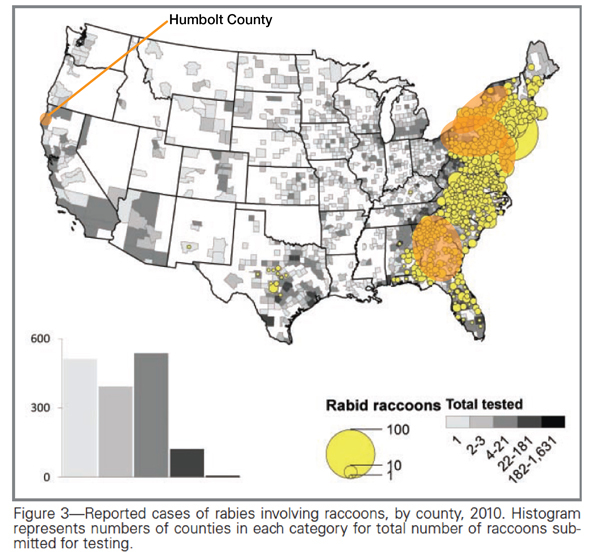 Of the 49 rabies cases reported in humans since 1995, 10 were the result of dog bites that occurred outside of the U.S.; the remainder were traced either to wildlife or were of unknown origins. Since 1960, only two cases of human rabies have been attributed to cats. As I pointed in a post this past August, you’ve got a much better chance of being killed by lightning—not just struck, but killed by lightning. Data collected by the National Oceanic and Atmospheric Administration show that between 1959 and 2011, 3,947 people in the U.S. were killed by lightning. That’s roughly 75 deaths annually due to lightning strikes. Compared to just two from rabies related to cats over the past 52 years (and, for the record: in one of those cases, the woman was bitten while traveling in Guatemala and then treated in the U.S. ). And where raccoon cases increase, cat cases tend to follow. In the western part of the country, by contrast, rabid cats (and rabid raccoons) are, as I mentioned previously, nearly unheard of. “The average per capita cost for terrestrial rabies including PEPs, specimen preparation/shipment, and pet vaccination clinics was $0.32, with a range of $0.10 to $0.77.”  That’s right: less than a buck per county resident. This rather monumental error reflects poorly not only on the authors—when your “facts” are even less factual than TWS’s “facts,” it’s probably time to turn in your credentials—but also on the peer-review process so often defended by TNR opponents. If the reviewers involved (1) weren’t familiar enough with the topic to recognize the error and/or (2) were unwilling to quickly check with the CDC website, they simply shouldn’t be reviewing such work. Q: If there’s a compelling case to be made regarding the rabies threat posed by free-roaming cats, why do Gerhold and Jessup go out of their way to misrepresent the research? A: There’s not a compelling case to be made regarding the rabies threat posed by free-roaming cats. By comparison, about 1,725 people in the U.S. were killed by lightning between 1977 and 1998. With every new study of T. gondii comes a host of new questions. Why, for example, are outbreaks caused by contaminated drinking water  not more common, given the number of free-roaming cats in the environment? Or other types of outbreaks linked to environmental contamination? In 1997, 37 people were diagnosed with toxoplasmosis after visiting a riding stable in Atlanta, GA, and a subsequent investigation implicated cats on or near the property. (Nine of 11 submitted for testing were recently attributed to oocysts, and included among the 103 infections mentioned previously.) But there’s nothing unusual about keeping cats in horse stables and barns. Why, then, are such occurrences so uncommon? Suddenly those feeding stations don’t seem like such a public health threat. In fact, if the concern is really B. procyonis, then we need to provide raccoons with more food sources, not fewer. If the evidence throughout Gerhold and Jessup’s paper is less than convincing, their section on FIV and FeLV is downright bizarre. Once again, these additional “details” come from the very studies Gerhold and Jessup cite. But it’s not a matter of additional resources as much as it is different resources. Provided by—not to put too fine a point on it—different researchers. 2. Barrows, P.L., et al., Proposal to designate Trap-Neuter-Vaccinate-Return as preferred management scheme for feral cats (letter to Maureen Lichtveld, Chair, Science Board, American Public Health Association). 2011. 11. Moran, G.J., et al., “Appropriateness of rabies postexposure prophylaxis treatment for animal exposures. Emergency ID Net Study Group.” Journal of the American Medical Association. 2000. 284(8): p. 1001–1007. 18. CDC (2011) Cost of Rabies Prevention. 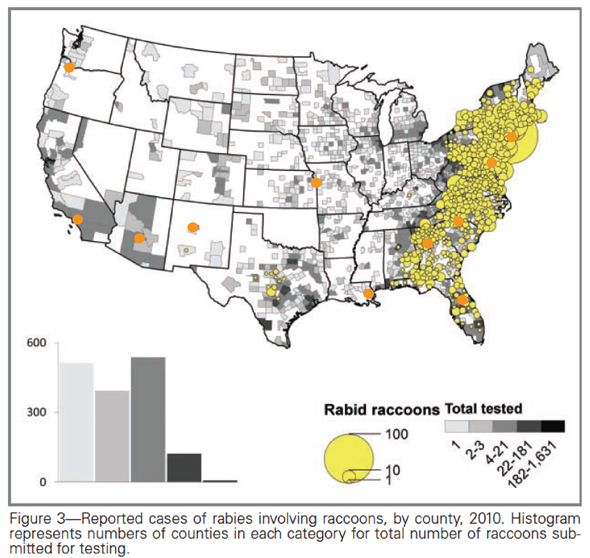 http://www.cdc.gov/rabies/location/usa/cost.html Accessed September 18, 2012. 28. Hamilton, J. (2012) A Parasite Carried By Cats Could Increase Suicide Risk. Shots (NPR Health BLog_ http://www.npr.org/blogs/health/2012/07/02/156142214/a-parasite-carried-by-cats-could-hurt-humans-sanity Accessed July 3, 2012. 31. Kazacos, K.R., Baylisascaris procyonis and Related Species, in Parasitic diseases of wild mammals, W.M. Samuel and M.J. Pybus, Editors. 2001, Iowa State University Press: Ames. p. viii, 559 p.
36. Brown, M.A., et al., “Genetic Characterization of Feline Leukemia Virus from Florida Panthers.” Emerging Infectious Diseases. 2008. 14(2): p. 252–259.